BUSTED! 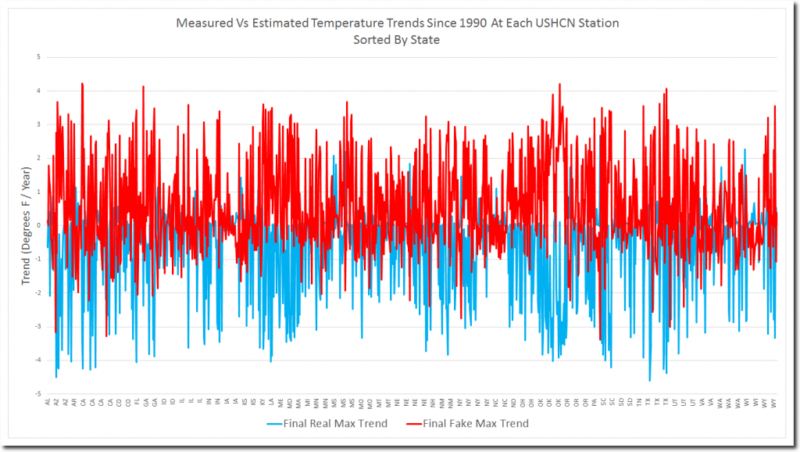 All Recent U.S. Warming Found To Be FAKED By NOAA! Is global warming real? That question has been debated for well over a decade now, with some — mostly liberals — claiming that it is and others saying it’s not. 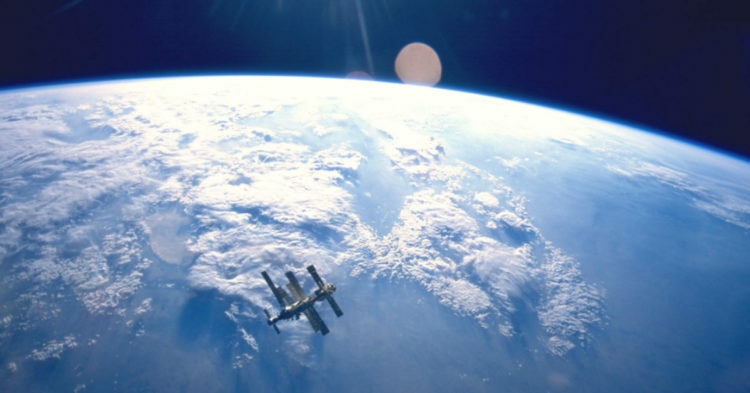 And some new data has some arguing that it proves global warming is fake. The USHCN, or the United States Historic Climatology Network, is maintained by the National Oceanic and Atmospheric Administration. And it’s data from the USHCN that has some alleging that tampering has taken place. In the first graph, the blue is based on raw data from weather stations in each state since 1990. The red is the adjusted data, which it is alleged was changed to force the data to show warming instead of cooling. The original data, in blue, shows cooling, rather than warming. Meanwhile, the global mean temperature is approximately one degree Celsius colder than it was during the height of the last major warming period, about 850 years ago. So, how are scientists coming up with data to “prove” that the temperature is warming? Well, they’re faking it, some say. This next graph shows the measured surface temperature data for the United States since 1990. 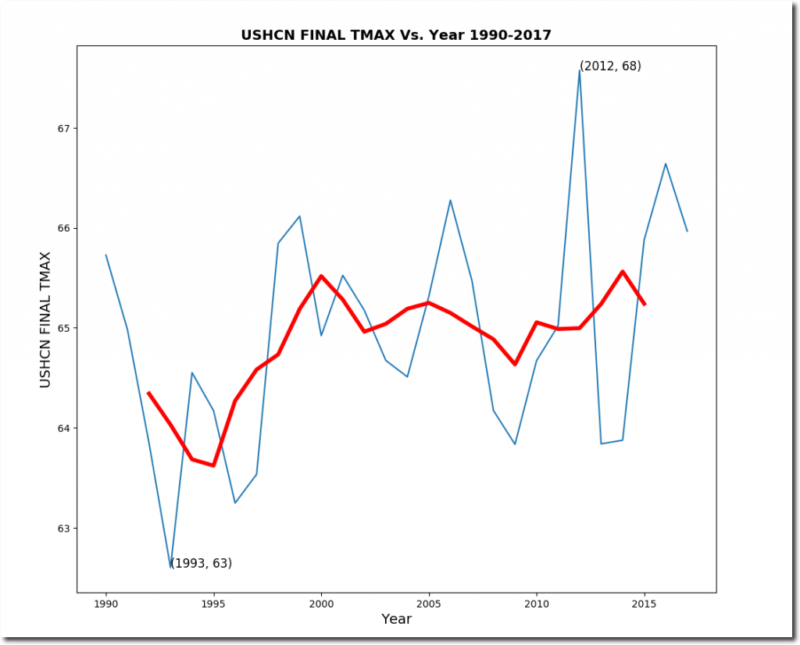 If the original data showed no warming, then where is the USHCN getting the data from that does show warming? 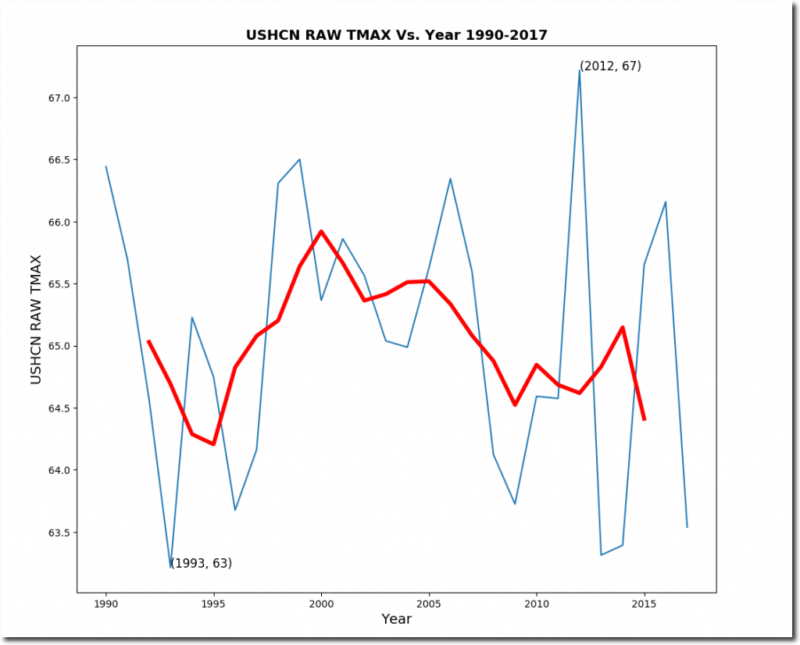 Some claim that the “hockey stick” seen in the third graph clearly shows proof of tampering. Do you believe global warming is fake?